Anadolu Efes Istanbul has a shot at clinching its first Final Four this century on Friday. Efes commands a 2-1 lead in its playoff series against FC Barcelona Lassa, which faces a do-or-die situation situation on its home court. The Spanish team had reversed the series with a Game 2 win in Istanbul, but in Game 3, Efes made sure in record fashion that, at the very least, the series will return to Turkey for a last home game, if needed. Efes struck first at home in Game 1 but Barcelona recovered and surprised the Turkish team in Istanbul in Game 2. Just when the momentum seemed to switch to Barca, Efes rose up in Game 3 and led from start to finish in 68-102 Game 3 road riot to move within one victory of a place in the Final Four. It was one of the biggest road wins in club history for Efes, which is yet to win a EuroLeague Playoffs series this century. Shane Larkin starred with 30 points on near-perfect shooting, including 6 of 7 on three-pointers. Adam Hanga had 13 points in defeat. Guard Shane Larkin is averaging 11.0 points in 31 games this season, but against Barcelona his average is 20.8 points in five games. He has found the way to punish the Barcelona defense and will surely try again in Game 4 to try to seal the series. In front of him, former Efes player Thomas Heurtel will have the job to stop Efes's main man and, in addition, try to lead Barcelona on offense, as he has been doing all season with 10.5 points and 4.8 assists per game. Barcelona is on the brink of elimination, so the team will have to give it its best effort if it wants to take the series back to Istanbul. In Game 3, Barcelona gave up 26 points or more in three quarters, so defense is the first task for the hosts. They will have to figure out a way to slow Larkin in the backcourt while also keeping an eye on a couple of former Barcelona players, Tibor Pleiss and Adrien Moerman, who combined for 27 points and 12 rebounds in Game 3. Barcelona needs another magical night at Palau Blaugrana. It's a rare opportunity for Efes. One more win and the team will advance to the Final Four for the first time in the modern EuroLeague. After Efes dominated Game 3, it is to be expected that Barcelona will react aggressively. Still, Efes's masterpiece of a game -- dominating in scoring, rebounds, assists and turnovers -- should be the inspiration for the guests to strike while the iron is hot and try to get a Final Four ticket as soon as possible. "The story of each game in the playoffs is totally different. On Friday, there will be a new game and a new fight. We must play good basketball, must share the ball in offense and show resistance in defense." "Tomorrow’s game will again be a very competitive and tough one. It will be a win or go home game for our opponent and a win and go to Final Four game for us. Both teams will play with all of the energy and the intensity they can." · Barcelona holds a 10-7 record in games between these teams this century. · Efes led from start to finish to beat Barcelona 68-102 in Game 3 as Shane Larkin starred with 30 points on 5-for-5 from two-point shooting and 6-for-7 on three-pointers. · Efes set its club playoff records in points (102), PIR (129), assists (25), three-pointers made (14) and two-point accuracy (74.3%) in Game 3. 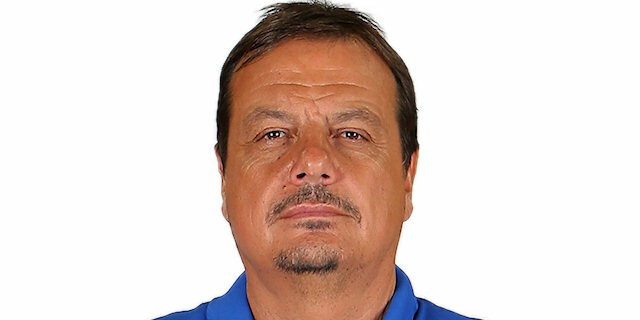 · Efes beat Barcelona 75-68 in Game 1 with Vasilije Micic starring with a playoff career-high 21 points on 4-of-5 three-point shooting plus 7 assists. His career-high PIR of 30 earned him MVP of the Round honors. Chris Singleton has made at least 1 three-pointer in eight consecutive EuroLeague games. Kevin Pangos has made at least 1 three-pointer in six of his last seven EuroLeague games. Pau Ribas has made at least 1 three-pointer in six of his last seven EuroLeague appearances. Thomas Heurtel has collected at least 1 steal in six of his last seven EuroLeague games. Heurtel has posted a performance index rating in five of his last six EuroLeague games. Adam Hanga has made at least 1 three-pointer in five straight EuroLeague games. Ante Tomic ranks fourth all-time with 1,425 rebounds. Ioannis Bourousis is third with 1,603. Tomic ranks fourth all-time with 484 offensive rebounds. Paulius Jankunas is third with 499 and counting. Tomic is the only EuroLeague player with at least 1,000 two-point baskets. He has 1,058. Thomas Heurtel ranks third all-time in assists with 1,165. Dimitris Diamantidis is second with 1,255. Jaka Blazic needs 9 points to reach 1,000 for his EuroLeague career. Chris Singleton needs 4 blocks to reach 100 for his EuroLeague career. Tomic is fourth all-time in playoffs career performance index rating with 412. Panathinaikos legend Dimitris Diamantidis is third with 443. Shane Larkin has hit at least 1 three-point shot in 10 straight EuroLeague games. He's made multiple threes in five straight games. Larkin has scored in double figures in 11 of his last 12 EuroLeague games. Bryant Dunston has blocked at least 1 shot in 10 of his last 11 EuroLeague appearances. Dunston has posted a performance index rating in double figures in 10 of his last 11 EuroLeague appearances. Adrien Moerman has pulled down at least 5 rebounds in 11 of his last 12 EuroLeague games. Tibor Pleiss has made 12 consecutive free throws in EuroLeague action. Krunoslav Simon has posted a performance index rating in double figures in eight of his last nine EuroLeague games. Vasilije Micic has made at least 1 three-pointer in eight of his last nine EuroLeague games. He has made multiple threes in each of his last four games. Vasilije Micic ranks third in the league in assists this season with 5.6 per game. Tibor Pleiss is fifth in the EuroLeague in two-point accuracy this season at 69.09%. Dunston is seventh at 68.29%. 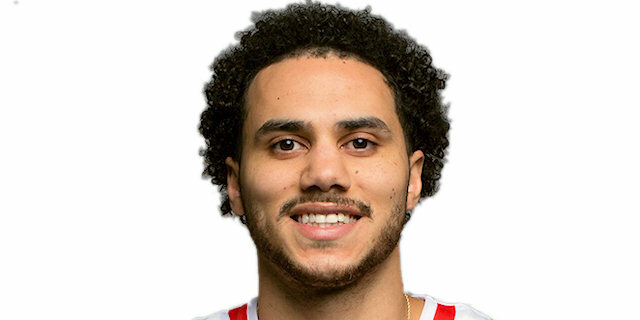 Shane Larkin leads the playoffs this season with 20.0 points per game, and Micic is second with 16.7 points per game. Dunston is third in the playoffs this season with an average PIR of 19.3, Micic is fourth with 18.7 and Larkin is fifth with 18.3. Micic is second in the playoffs this season with 6.3 assists per game. Larkin leads the playoffs this season with 3.7 three-point shots made, and Micic is tied third with 2.7 per game. Bryant Dunston ranks second all-time with 226 blocks. He trails only Fran Vazquez (249). Dunston ranks ninth all-time with 380 career offensive rebounds. Mirsad Turkcan is eighth with 385.